For some industry onlookers, the news that Elsevier acquired Mendeley in early April came as no surprise. But the initial rumors in late December/early January about the possible sale shook the foundations of the research community. And just as the buzz seemed to die down, the rumors became reality on April 8, 2013, and refueled the controversy. Researchers were getting accustomed to Mendeley's social science platform and in sharing resources and data amid a growing community of like-minded users, and then it all seemed to change overnight. 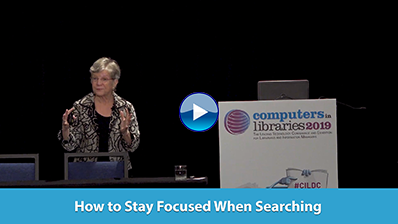 OCLC announced that libraries can increase their visibility on the web by registering basic local information with the OCLC Library Spotlight program, a free service that works with popular web services to promote libraries. Yelp, the popular local directory service, agreed to be one of the first to work with OCLC on this new program. The initial phase of the program will focus on public and academic libraries in the U.S. Subsequent phases will include new partners to address additional library types and regions. Elsevier, a provider of STM information products and services, and technology publisher O'Reilly Media announced that O'Reilly will distribute many of Elsevier's academic, research-focused ebooks. This expands the depth of ebooks available from O'Reilly in areas such as computer security and networking, and includes leading imprints such as Morgan Kaufmann, Syngress, Academic Press, Butterworth-Heinemann, Newnes, and Elsevier with more than 1,200 individual titles. The number of publisher-owned online communities is set to more than double over the next 2 years, according to new research released April 17, 2013 by Publishing Technology at The London Book Fair. The study, conducted by Bowker Market Research, a service of ProQuest affiliate Bowker, found that two-thirds of responding publishers currently host reader communities, and that this is set to rise to more than 90% over the next 2 years.